“Mama, that casserole was Amazing! What was in it?” Surprise! Here’s a casserole that tastes awesome and cleverly uses and disguises rutabaga. I love rutabaga, but I get somewhat bored by eating them raw all the time for snacks or steamed and mashed with butter and brown sugar. I seem to have a few family members who do not share in my love for rutabagas, so this recipe actually surprisingly helps to get those healthy organic rutabagas which are high in vitamins and minerals into them. 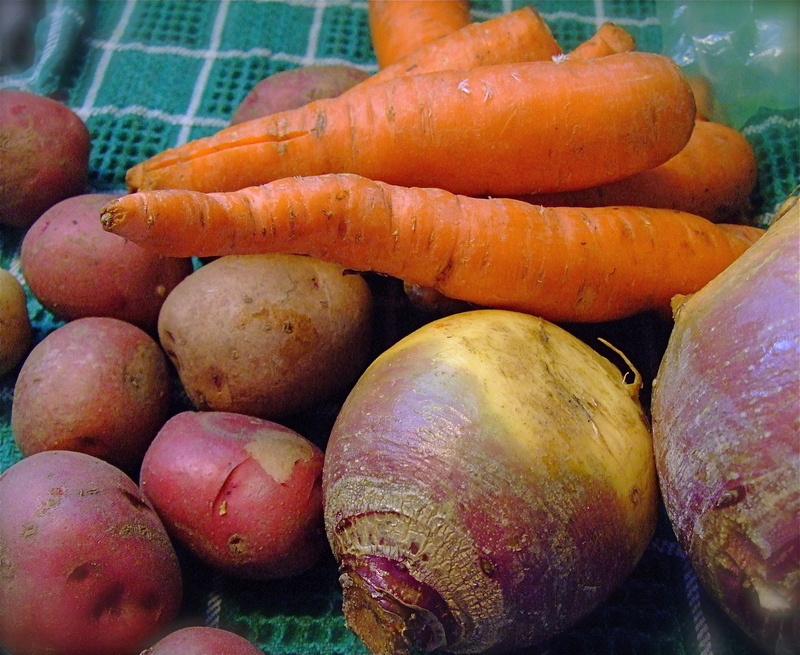 In a medium-sized saucepan combine potatoes, carrots, turnips and enough water to cover. Bring to a boil. Reduce heat to medium; cook 25 to 30 minutes or until very tender. Drain. Mash vegetable mixture, gradually stirring in salad dressing, cream cheese, onion powder, salt and pepper until light and fluffy. Spoon into a 1 1/2 quart casserole dish. Sprinkle with paprika. Bake at 350 degrees for 45 minutes. This entry was posted in Uncategorized and tagged Carrots, Potatoes, Rutabaga, Turnip, Veggie Vivers. Bookmark the permalink.